Fumes and particulates populating the air in a manufacturing environment are quite different from those present only a few years back. Metalformers and fabricators shape and assemble evolving grades of materials featuring new mixtures of elements. These materials, coated with newer formulations of rust inhibitors, surfactants, soaps, oils and more, release fumes and particulates during forming, cutting, heating and welding operations, with machinery adding mist to the mix. 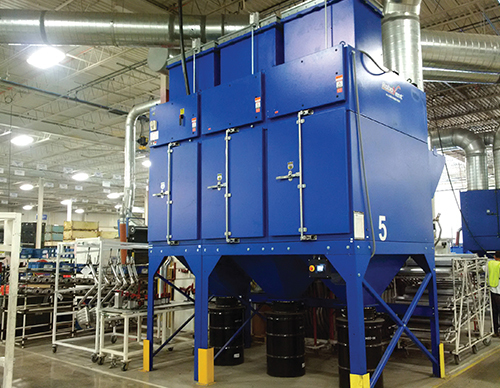 Today’s air-cleaning systems for metalformers and fabricators employ variable-frequency drives as well as other technologies to better handle exotic dust and fumes and keep maintenance and energy expenses in line. Air-quality systems strive to stay ahead, with manufacturers developing unique equipment and filters to combat the dirty air. To win the battle, both in the air and in the pocketbook, a manufacturer should closely examine its air-handling needs, and look beyond initial system cost to the total cost over the life of a system. That’s the word from Mike Meyer, executive technical director at RoboVent, Sterling Heights, MI, a manufacturer of air-cleaning equipment, including systems to extract oil mist and weld fumes. It also supports educational efforts to help metalformers and fabricators understand the total cost of ownership related to dust collectors and industrial ventilation systems. Education efforts stem from introduction of more unique mist components and particulates in manufacturing environments over the last decade, according to Meyer. Frequency of filter changes correlate directly with the evolution of mists and particulates, according to Meyer. Newer material grades and coatings introduce unique dust hazards and can play havoc with filters. A correctly designed air-cleaning system and improved filter technology help combat these developments. Meyer and Frank Cea, director of marketing communications and development at RoboVent, provided an anecdotal cost breakdown of air-cleaner filter replacement. With filters typically priced at $1 or more per ft.3/min. a 10,000-cfm unit already sets a manufacturer out $10,000 for a new filter. Add labor and disposal, and total filter-replacement cost can reach $15,000 or more, especially if hazardous-waste removal and disposal are needed. Replacing filters two to three times more often than previously typical quickly escalates air-cleaning expenses. But dirty filters are not an option. Clogged filters force air-cleaning systems to work harder, leading to energy inefficiency, diminished effectiveness and more. That means extra costs for maintenance and repair, and higher electricity costs. Uncaptured dust settling in ductwork heightens the risk of combustion, while cleaning ducts often entails paying specialized contractors to remove the dust. In addition, inhouse maintenance personnel, instead of focusing on maintenance and repair to keep processes and equipment running smoothly, spend time and resources on air-handling issues. Ineffective air cleaning also leads to higher lighting and heating costs, according to Meyer. Then there’s the human toll. Studies have demonstrated the connection between air quality and productivity in commercial environments. Improving air quality has been linked to reduced error rates, increased output and a significant reduction in absenteeism. A recent study from the National Bureau of Economic Research revealed a 4.2-percent improvement in worker productivity when reducing indoor-air-pollution levels by 10 ppb. Another study shows that poor indoor-air quality causes six additional lost workdays per year for every 10 employees. Indoor-air quality also affects employee recruitment and retention, according to Meyer. “Clean indoor air in metalforming and fabricating operations assist in attracting and keeping good employees—doing so creates an environment that people want to work in,” he says. And, not only is clean air good business, it’s the law. A host of standards and guidelines regulate and support workplace air quality, and manufacturers must stay current with ever-changing regulations. Liability awaits those who slack in such efforts, with fines, lawsuits and other sanctions a virtual certainty. By closely examining their air-cleaning systems with the help of reputable providers, metalformers and fabricators can fully determine true costs—considering the expenses detailed above—and select new systems or upgrades that provide a clean, healthy environment and more productive shop floor without excessive costs for filters, energy use, maintenance and repair. Newer technology enables these improvements. For example, variable-speed drives in air-cleaning systems provide energy-efficient options for supplying needed power. A standard industry formula, the air-power equation, provides a rough measure of the cost to run a motor for air flow. The formula: 40 x brake horsepower x number of hours operating the fan x cost per kwh. Here, the variable is brake horsepower, explains Meyer. Thus, VFDs decrease energy costs while reducing strain on system components, making them game changers, according to Meyer, who notes that RoboVent employs VFDs on 95 percent of its systems, save for the smallest units. 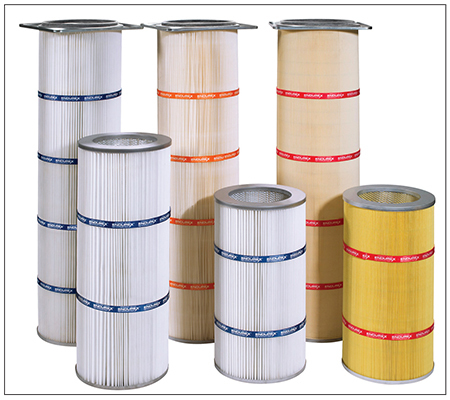 Filters also benefit from technology improvements, which deliver increased filter life. Ultimately, manufacturers must consider the total lifecycle cost of air-cleaning equipment, including the capital cost as well as expenses as detailed above, according to Meyer, who notes that doing so yields a solution that pays for itself through maximized benefits and decreased expenses over time. The most effective approach, according to Meyer: meeting with all stakeholders during system design.